Life Extension Vitamins is an Authorized Reseller of Metagenics. Save on Metagenics with Free Shipping on $50 and over in the continental United States. 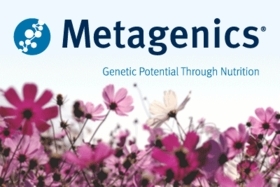 Metagenics is Nutrigenomics-based, turning nutrigenomic research into bioavailable medical foods and nutritional supplements. Their motto is, "When it comes to your health, your DNA is not your destiny." The concept behind Metagenics medical foods and supplements is this: nutritional influence over your genes can help you realize your maximum health potential. That's what Metagenics' supplements are designed to do, and they do it with cutting-edge science and an extremely high quality standard. We are proud to be an authorized reseller of Metagenics and hope this line will yield great health benefits for you. If you have any questions or need assistance with your order, please call us toll free: 1-888-771-3905.